He’s brought out some of the greatest music we all love listening to, there is no question about it, Alec Joseph is one of the most talented and gifted musicians we know. Alec Joseph has released several hit songs that we all listen to on constant repeat. He also made history in the entertainment world by bringing out his outstanding music video for his song, “Tongue,” that wasn’t like any other music video we have ever seen before as it was in virtual reality. Needless to say, all of Alec Joseph’s projects show his brilliant creativity, his hard work and his passion for everything and anything that he works on. While working on his exceptional music, Alec Joseph also loves to keep fans updated and he allows them to take a step into his world even more through his magnificent show titled, “AJ On The Way.” Alec Joseph always leaves us in awe – from his songs to his music videos and his excellent, live performances. Alec recently revealed some more exciting news that he will be joining singing sensation, Jacob Whitesides on his tour. We know that Alec Joseph will blow everyone away with his performances and we continue to be so proud of him and all of his well-deserved successes. 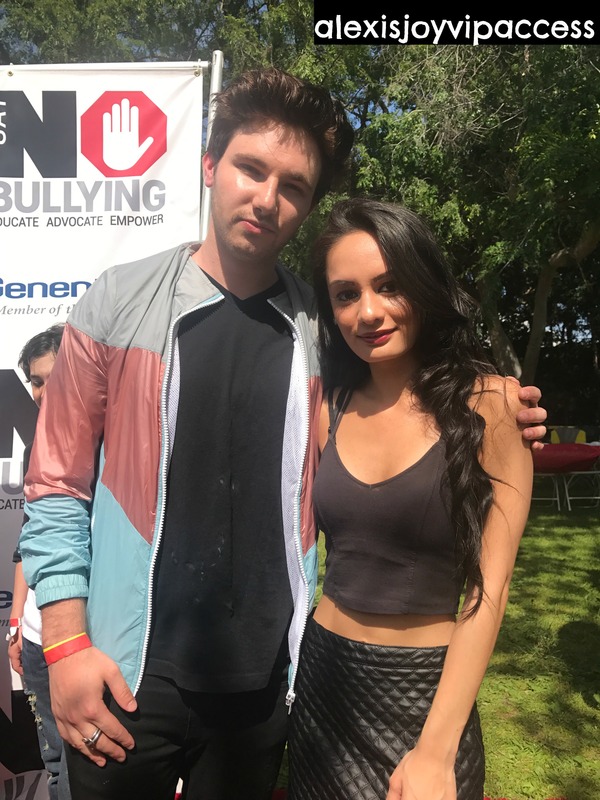 I, Alexisjoyvipaccess had a fantastic time covering the 2nd Annual Say No Bullying Festival and had a wonderful time catching up with and interviewing the multi-talented Alec Joseph again at the event. Alec Joseph dished exclusively to Alexisjoyvipaccess all about going on tour with Jacob Whitesides, what are some of his tour must-haves, what are some of his pre-show rituals before a performance, and so much more only in our VIPAccessEXCLUSIVE updated interview. Alec Joseph even took on a fun speed round and revealed what his favorite song at the moment is, what his favorite food is and more – hear what he had to say in our VIPAccessEXCLUSIVE updated interview below. Thanks for another fun interview, Alec – always a blast chatting with you! Check out my VIPAccessEXCLUSIVE updated interview with the remarkable Alec Joseph at the 2nd Annual Say No Bullying Festival below! Previous Article: Entertainment History Was Made Yet Again At The 2017 Billboard Latin Music Awards – Recap And Full Winners List Here! Next VIPAccessEXCLUSIVE: JoJo Siwa Interview With Alexisjoyvipaccess At The 2nd Annual Say No Bullying Festival!